When I first heard that people were making money on Craigslist, I thought it sounded like a lot of work to make a little spare change. After talking with a few pros on their strategy to make money on Craigslist, I learned a Craigslist business can actually make big bank. I talked to six home-based entrepreneurs for this post, each one of them making thousands a month on Craigslist. It’s a full-time job for some while others sell on Craigslist as a part-time way to make extra money. 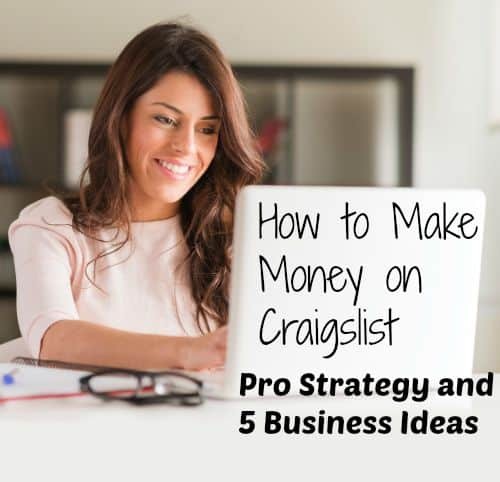 Whatever you decide to do, don’t miss some of the amazing tips they shared with me for getting started making money on Craigslist and how to be successful. 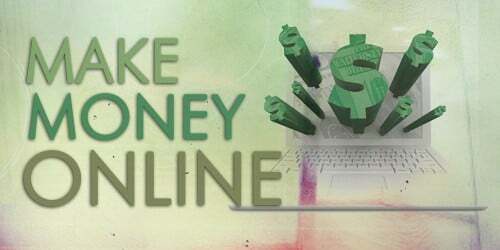 This is the fourth of our 5-week series on ways to make extra money online. If you’ve every thought about trying to make a little extra online, you’ve no doubt come across quite a few more than five ways to make money from home. I’ve seen my share of scams and scoundrels as well. I’ve chosen the five best ideas, the legitimate ideas that can actually become workable ways to make extra money to highlight in the series. Why Make Money on Craigslist? Craigslist isn’t the first site to offer a legitimate way to make a little extra money. Ebay used to be a more popular way to buy and sell, and a lot of people still run profitable stores on the auction site. Amazon is quickly becoming another popular site to set up an online store and earn commissions through affiliate sales. Want to know the passive income source that accounts for more than half of my six-figure income? 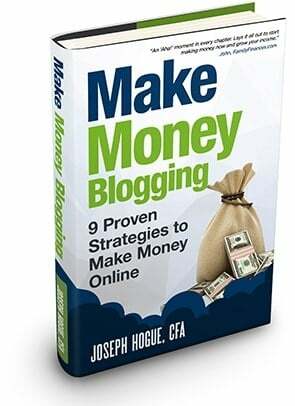 Check out this post on making money blogging with affiliates. Craigslist is unique though in a couple of ways that makes it a great way to make extra cash without having to set up and market a store. First, Craigslist doesn’t charge anything to post products for sale and doesn’t charge a commission on sales. The profits on reselling are tight enough as it is, let alone when you have to share them with a third-party. While you can buy and sell from any Craigslist site, the majority of Craigslist businesses do their buying and selling at the local level. This means you don’t have to go through the hassle of shipping and hoping the buyer comes through with a payment. The best Craigslist businesses buy and sell quickly, hold little inventory and take everything in cash. Don’t get sucked in by the B.S. and hype in passive income myths. Learn what it really takes to be successful and create a stream of monthly income from four sources. Step-by-step detail on creating passive income in real estate, blogging, stocks and bonds. Click to get started now with The Passive Income Myth, your guide to the REAL world of passive income! So the idea of making money on Craigslist probably isn’t going to surprise you. Find something on the site you can buy for cheap and resell it to someone else for more money. If this were all there was, everyone would be sitting online making money from their mansions. It’s a little harder than that but you can actually make some decent money if you follow a few key points that I picked up talking to the pros. These people have turned making money on Craigslist into a full-time job and offered some great ideas to get you started. Specialize in one specific product or group of products. Making money buying and selling on any platform is about knowing the true value of a product. As savvy as you may be, it’s tough to know how much you can get from every product available to buy or sell. Focusing on a specific group of products like tech gadgets means it will be easier to pick out the deals quickly. This is really where you are going to make your money on Craigslist. From people that just want to get rid of stuff to people that really don’t have a clue how much something is worth, you can make a quick profit buying and reselling quickly if you know the real value of an item. At first, you’ll need to look around Craigslist and eBay to get an idea of how much you can get for something and if a seller is offering an attractive bargain. After a while, you’ll get to know about how much stuff is worth and you won’t need to put in as much time researching before you buy. There’s another important consideration with the type of product you buy and sell. While a lot of people make money buying and selling furniture and cars on Craigslist, it’s a tough product to move around. You may have to experiment with a few categories to find which is right for you. Unless you already know a lot about a specific group of products, start out with something small that is relatively easy to carry and store. Need some cash to get your Craigslist business idea going? Check your rate on a personal loan through PersonalLoans.com where lenders compete. Create an Online Store to Sell your Products. Creating a basic website and online store is extremely easy to do and costs basically nothing. The basic plan on Blue Host WordPress Hosting is all you’ll need for a simple site and having visual images of your products will allow you to charge more and have another avenue to sell. 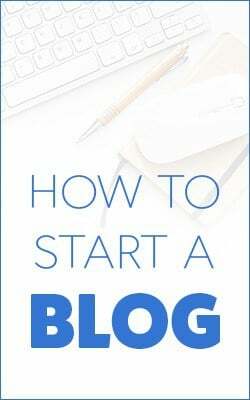 Create a blog on your site and you’ll start showing up in Google for local searches and can start making money from Google Adsense as well. 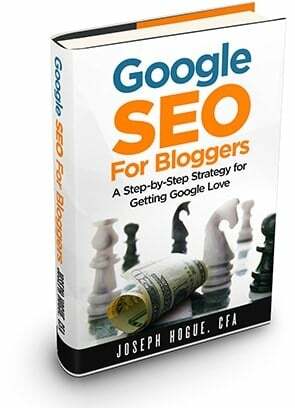 Get massive traffic to your blog to sell directly from your website at higher prices compared to Craigslist. Check out these customizable SEO plans guaranteed to boost your site traffic. Learn to play hardball and when to walk away. 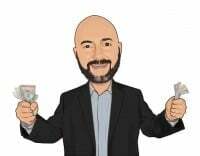 Besides knowing how much something is really worth, knowing your way around the negotiating table will make you some good profits on Craigslist. Most people avoid confrontation at all costs and would rather pay more than negotiate. Get over this aversion quickly or find something else to do. Negotiating over price doesn’t mean you have to screw someone over, it just means coming to a fair price. Knowing what that fair price is will help you negotiate and get a better deal. Get really good at negotiating and you’ll be able to bargain on more than just price. Building into your bargaining skills ways to unload items you haven’t been able to sell can be a great way to unload inventory that isn’t really worth anything but that can get you a bigger discount on something you can sell. Knowing when to walk away is another one of the best lessons you’ll learn buying and selling on Craigslist. People get emotionally invested in a deal, especially after spending a lot of time traveling and bargaining for an item. Some people may try to take advantage of this by increasing their selling price or lowering their buying price. Know the highest-lowest price you will accept and how much the item is worth before you go to negotiate and don’t get drawn into a losing deal. Cut down on Travel. Buyers are usually expected to go to the seller for Craigslist items. Gas prices have come down but transportation can still really eat into your Craigslist profits. Any way you can cut down on travel will increase how much you bank at the end of the week. Staying local is the best way to avoid too much travel. This may be hard to do if you live in a smaller city. Before you go out to buy anything, figure in the gas that it’s going to cost to pick it up. If you can negotiate a good deal over the phone, you might be able to get the seller to meet you somewhere that is more convenient and closer. If nothing else, make arrangements to buy several items and plan one trip that cuts down on total travel. Stay Safe. It’s pretty rare but there are people that will take advantage of Craigslist and the people on it. Most people that buy or sell regularly prefer to conduct their selling at a public location, maybe at the mall or outside a self-storage facility (but not right outside their own storage unit). They also do their buying and selling during the day. Most legitimate buyers or sellers will understand your need for safety, for both of you, and will agree to meet in a public location. So maybe after reading through the post, selling on Craigslist isn’t for you. Check out our Work from Home Directory for five different home-based businesses you can start TODAY! After you’ve bought a few items on Craigslist, you’ll need to list them on the site. Beyond the money you’ll make by knowing the true value and negotiating, you can also make a fair amount of profit by simply designing a good selling page. Craigslist is mostly amateurs that want to get rid of random stuff filling their closet. Actually putting together a good selling page can help attract more people and get a little extra. Make your title descriptive and engaging. Use words such as “like-new” and “great deal” to get people’s attention. Avoid using all capital letters or over-use of exclamation points. Check out the selling pages of the product at retail stores. This can help describe the item in a way that will sell itself. Add as much detail as possible so people know what they are getting before they call with questions. Be sure to include at least two pictures. Make them well-lit and clean up the item before posting. I have made a few hundred buying and selling items on Craigslist but never really spent much time turning it into a real side-gig. To write this post, I talked to several people that have turned it into a legitimate business and make upwards of a thousand a week. You can make real money on Craigslist but it will take some work and some time to develop your skills. Your Craiglist ads can get buried pretty quick, especially in popular categories so don’t forget to repost your ad when allowed to make sure you keep making money and don’t sit on a lot of missed sales. Still stumped for how to make money on Craigslist? Check out these five business ideas to buy and sell online. A lot of people will just post things in the free section to get rid of it quickly. They don’t really care about the $20 or so they might get out of it, they would rather just get it out of the basement today than have to wait a few days trying to sell it. This can be a gold mine if you are willing to take the time to check the free section of Craigslist regularly. Anything of value will go quickly so you’ll probably have to check a couple of times a day. Be picky and only grab stuff you know you can resell for a decent profit. Do you know tech hardware? Can you make old furniture look like new? If you can buy used stuff and give it a little TLC to make it like new, you can make huge money on Craigslist. Take a quick class on Udemy or at the local community college to learn how to rehab old stuff. Your side-job making money on Craigslist could quickly turn into a full-time money making machine. Craigslist is just the online evolution of garage sales so it makes sense that you should be able to use the two together. Since most garage sales get little traffic, people are ready to take next to nothing to sell their items. While you’re not going to get like-new prices on Craigslist either, you can usually get quite a bit more. 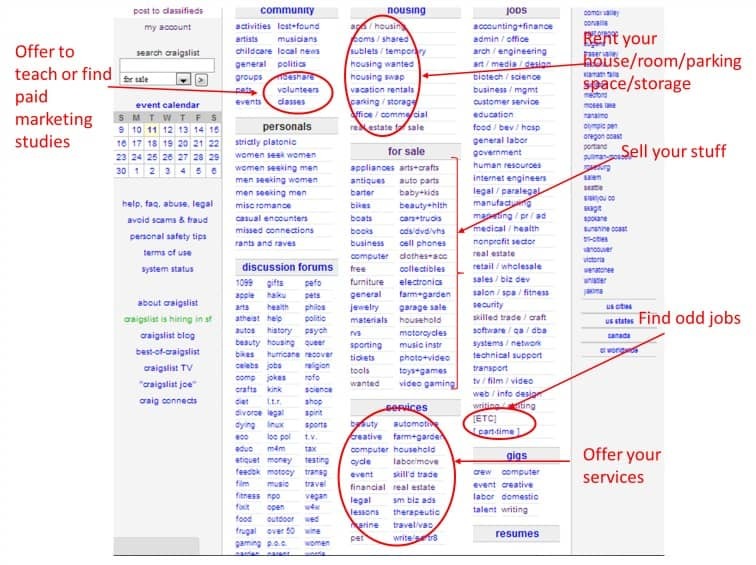 Use this to your advantage to make money on Craigslist by buying at garage sales and then selling online. The standard ideas above apply; make sure you know how much something is worth and don’t buy everything you find. If you’re going to be buying and selling on Craigslist, especially if you’re dealing in larger stuff like furniture, you’re going to need a truck or large van. If making money on Craigslist is just a part-time gig then your truck is just going to be parked most of the time. Hire out a couple of helpers and make it a moving/hauling business. This one involves a little more work than the other ideas but can also make a lot more money. You’ll need to make sure your movers have insurance and you’ll need to handle stuff like scheduling and payroll but you’ll have someone making money for you. Put an ad in the services section of Craigslist for hauling and moving for free. Do anything for long enough and you’re going to become an expert. Put that expertise to good work by teaching a course locally or online. Making money on Craigslist is an extremely popular topic online and your Craigslist course could get you out of the hustle-bustle of buying and selling. Put your Craigslist course on Udemy and they will market it for you! Get any course on Udemy for just $19 – That’s more than 60% off! What have you learned about your Craigslist business? Making money on Craigslist can be a legit way to make thousands a month and can turn into even more with a website to showcase your business. I’d love to hear any other ideas on how you make money on Craigslist. Big stuff sells; small stuff attracts small people and they drive you crazy. Craigslist Terms state that you can only post one item in one category every 48 hours. What if I have lots of different items to sell, and need the money quickly for buying Xmas gifts? Should I group them all in one post?… but the items range from sunglasses to headphones to a car. How could anyone make a living with only one ad every 2 days? I get that they don’t want ppl posting the exact same thing in different categories. But, its not clear if I can post two different items in one category… or, in different categories. I didn’t know there were so many business opportunities on Craigslist. I guess that just went over my head. I use Craigslist to sell stuff mostly. Incredible website for that. Thanks for the article.